Check out today's featured user-made machinima for "Girls Aloud - Jingle Bell Rock". Congrats to community member "aidansmeaton" for making the homepage! 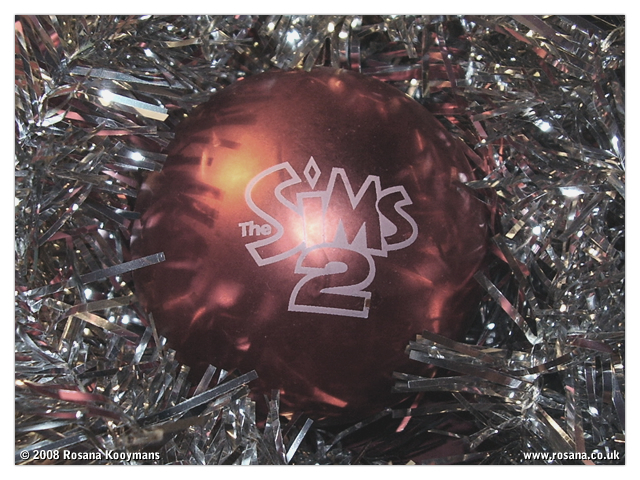 The Sims audio team wishes you a Happy Holiday. Listen to "The Sims Happy Holidays '08" mp3 from The Sims Crunch Mode Choir. Winter & Holiday Showcase Highlights Posted! The highlights for the Winter & Holiday Showcase have been posted! We had tons of fun looking through the hundreds of submissions this year. Enjoy! EA has made a nice wallpaper so you can start feeling the Christmas spirit! If you don't have a winter themed desktop or wallpaper yet, why not download this winter-y Spore wallpaper? I decided to post this early, so most of our visitors have a chance to see it before Christmas! Are you celebrating Christmas? With whom are you celebrating? Are you going somewhere? Do you know what you'll get for Christmas? After receiving a mail from MaxisCactus yesterday about Spore Sculptures, I now present you the official press release about these sculptures. I wish they were cheaper. Me being European I'd have to pay shipping on top of the price of the sculpture. I don't think it'll be something I can afford. Too bad, because I'd really love to have one of my creatures as a sculpture! Another mail from MaxisCactus, this time about Spore on Steam! Just in time for the holidays, Valve announced that Spore™ and Spore Creepy & Cute Parts Pack are available now via Steam, a leading platform for PC games and digital content with over 15 million accounts around the world. For more info or to get Spore from Steam, visit http://www.steamgames.com. Have a favorite Spore creature? Get a Spore sculpture created! The minimum hardware requirements to run The Sims 3 have been revised and officially published.